My wife and I chose Prodigy Moving because of the reviews online and the very reasonable binding estimate they gave me. Going to Atlanta from Delaware to be closer to the family with a lot of stuff wasn’t easy. The guys at prodigy movers showed up on time and took all the necessary steps to making sure that my belongings wouldn’t be damaged. Their level of service and attention was great. I found another moving company before I found Prodigy Moving and they quoted me much more for what I was trying to move. I made sure the price was right and that the movers could be here by next week. They had excellent movers and the whole crew had my entire apartment packed up and in the truck within half a day. Great job unloading too - really worked well together. The folks at Prodigy Moving and Storage did a wonderful job for my family and I. We moved to Michigan and used Prodigy Moving to take our stuff. It helped that they got me the lowest price of all the other moving companies I checked out. They sent a team of movers, including a driver which made the move very easy. We had a REALLY long move from Cali to Florida and were dreading the process. Luckily, we used Prodigy and they took the fear out. Not sure if we got a great price or not, but there was no BS or games. Just a bunch of hard working honest guys. Recently, we had the pleasure of using Prodigy Moving for a long distance move. What we didn’t expect was the level of service the company gave us and how experienced they were with long distance moves. They gave us a low estimate for the move and were able to help us at every turn. Moving went as well as expected and our movers did a phenomenal job moving our boxes and living room furniture. Everything else we handled ourselves to try and keep costs down. They had the moving company show up at our new home right on schedule. We used Prodigy Moving and Storage for our move. We retired and moved to Florida. The move went as smooth as could possibly have been expected. It far exceeded our expectations. Most of the time, you hear the horror stories about moves, and we didn’t experience anything of that. The guys from Prodigy that were involved were friendly; they were efficient. I received the same service I was promised, and it was fast and delightful. I was moving from a house and needed to use a moving company. The crew was amazing and considerate of my furniture. They were kind, clean and everything you would want a mover to be. The coordinator I worked with, his name is Josh, was very accommodating and polite and it was all about making me happy and comfortable. When you move, you’re nervous, but Prodigy Moving went above and beyond and they were just outstanding. I would tell a friend to use them and don’t call anybody else. They were wonderful. Prodigy Moving and Storage was a good company. Nothing went wrong and nothing was broken or lost. They had a fair price and everyone was really nice and helpful. I used Prodigy Moving to move to Tennessee from Michigan. The whole process went smoothly. Everything went the way it should have. My things were in storage for a few weeks and arrived in the same condition as when they were picked up. The crew was nice along with everyone there. Highly recommended. Prodigy made my 600 mile move from Miami to Atlanta easy. They arrived on time and quickly packed and moved my items. They were real pros and made moving easier. Fair prices and customer service as well. We had a very pleasant experience with Prodigy Moving and Storage. They were very nice and available to us whenever we had questions. They were priced well and showed up on time. They handled all of our furniture and boxes carefully. 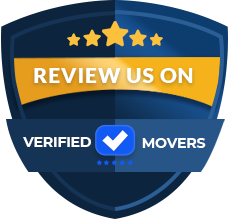 We would definitely use them again and recommend them as a 5 star mover. Everyone at Prodigy was courteous, friendly and knowledgable. I was presented with a great price over the phone which did not go up. They were able to work around my schedule and were very clean. Priced fairly as well. I would use them again and refer them to anyone moving. Got a call from Prodigy Moving and Storage. After explaining everything that was in my home, and what type of packing I needed, they gave me a quote at what the total cost would be. Although it was a little higher than some of the other quotes I received, I felt like they were the most detailed and asked a lot of important questions, that made me realize that they cared about how accurate the quote was and that they weren't going to raise it. They did a great job and was glad that I used them. We relocated to Memphis and used Prodigy Moving and Storage. We were really nervous at first, because we haven't used a mover before. We were in a hurry though, so we picked Prodigy based on their reviews and friendly service. We were very happy overall. They were on time, but we were hoping for a call when the were on their way. I guess it didn't matter because they were on time anyway. No issues with price or lost items. Highly recommended. Prodigy Moving and Storage did a very good job. The moved everything with the highest level of care. I was nervous at first, thinking things would get damaged, but after they started, I knew I was in good hands. I surely recommend Prodigy to anyone who needs a great mover. I was given a very good deal for the move and when the mover got to my house the day before I was go close on the home and I needed to move out of it they told me they could not pack up my home for the price I was quoted. This was a big surprise to me as my husband had knee surgery and the moving guy saw that he was in position to move our home items and he doubled the moving quote. I was in a rock and a hard place and had to sign the document to have them move my items. I am very unhappy with the service I received. They low balled me and got to my home and jacked up the move price to double of what I was quoted. They are very unprofessional and rude, the manager is rude and does not listen to you. When speaking to her she over talks you and says things like no one put a gun to your head and made you sign the form. I signed the form under duress, with no other options at this point. I requested my items to be delivered on 03/29/19 and did not receive them until over 2 weeks of my request day. I would not recommend this company to anyone! Had an overall great experience with Prodigy Moving and Storage. Customer service was helpful, the moving was efficient, my items got to my new move without any damage. I would highly recommend Prodigy to a friend. Their price for the move was within my budget. Choose them for your next move! You will be glad you did! After hours upon hours of research on the internet I was very nervous when selecting a moving company. Thank heavens I was able to find Prodigy Moving and Storage. From the first phone call to the final drop off everything was top notch and professional. The sales rep that I spoke with let me know what to expect on my move and my expectations were met. I would definitely select Prodigy Moving & Storage on my next move. I’ve moved many times in my life, and it’s always been such an overwhelming ordeal. That certainly wasn’t the case with Prodigy Moving and Storage. I didn’t think it was possible, but they actually made moving EASY! Not to mention how affordable it was, and they had great customer service to boot! They took really good care of my things and wrapped and labeled all of my things. I was really happy with the job they did. The reason we picked Prodigy Moving and Storage was because they were recommended by a friend of ours. They helped us count up everything we wanted to move, and gave us an estimate well below some of the other moving companies. Our experience was top notch and the packing/moving was done much quicker than I thought possible. Moving is never easy but Prodigy has it down pat. My husband and I closed on a close and needed to move in a hurry and Prodigy Moving could move us by the following week in our moving window. It didn’t hurt that their estimate for moving us was VERY reasonably priced as well. Our movers showed up right on time and moved us out of our old home in Texas Prodigy movers arrived on schedule at our new home in Ga too! Great work by a great team. We went with Prodigy Moving for our moving company because of the quote we received after speaking to them. Seemed more than reasonable for our move and they scheduled us right for our exact moving date. Our moving crew did a good job with some of the heavier items we had. But they did a good job and secured everything well in the truck. They showed up on time at our new home and were great at unloading too. Prodigy provided great service. I've had an overall very positive experience with Prodigy .The moving advisor was very professional and went above and beyond for me. They did their best to give me an affordable quote for my move to my new home. They were very careful with all of my fragile items. The customer service was very detailed and oriented and did a good job addressing all of my concerns as well. The quote Prodigy initially gave was accurate. The staff were also very friendly. The only reason it is not 5 stars is because movers were an hour late. Otherwise it was a good experience. I would hire them again. Prodigy Moving and Storage provided a good and professional service at an affordable quote. While moving my late parents' belongings from MN to GA they assured me that I would not have to worry about a thing and that they would take care of everything, which they did in a very professional manner. Everything was transported safely. I have moved twice with them in the last year and a half and figured I would let people know. I have not had issues with them. Everyone I speak to has been nice and gone out of their way to help me. Everything seems to be taken care of a little extra. Delivery has taken a little longer than expected, but it is not that big of a deal. Would recommend them. A friend and I did some research on different moving companies and saw Prodigy Moving and Storage. After talking to them a little bit and seeing what they had to offer, I went with them. Everybody there was great. They were helpful, timely with getting back to me and accurate with answering my questions. They were really great to work with. I had good movers too, both the crew that picked up and did the delivery. I would recommend them for sure. This company is awful. We had a horrific experience with this move.The last 4 months of my life have been spent dealing with Susan K and her unfulfilled promises. We moved from Fl to MI and it was awful; everything was broken, we had no idea when it'd be delivered, then we were promised compensation as well a claim for our items, none of which has been returned to us. They are not a moving company, it's a scam for a poorly executed delivery service. I filed a claim and was offered $12 for over $2000 worth of damaged items. All our boxes were smashed and thrown around but we were told that was our fault. Susan had promised me a refund for our troubles, then had the audacity to offer me $75 to relinquish liability from this awful company. We had a better experience shipping boxes through Grey Hound; it cost less, we were treated better and less things were damaged, they even delivered our stuff and it was done with more care and respect. I hope no one else has to go through the stress and overwhelming emotional damage this has caused us. I moved from Baltimore to California and got the services of Prodigy Moving and Storage. They were responsive in the beginning, the follow up was great and they confirmed that they were coming on a certain day. However, once they got my stuff, I didn't hear from them as much and they didn't live up to what they said they were gonna do. I had a move date and time and I thought that maybe they would miss it. I had to make all the outbound phone calls to find out what was going on. They did deliver and give me a partial refund for my concerns though. I recently moved for a new job opportunity in New York. My company paid for the move so I needed to make sure I found a reputable company and not the cheapest I could find. There are a lot of horror stories about moving companies online, but I found Prodigy and they seemed to have a good reputation. I contracted with them in February for my move. My sales rep Alex was wonderful. He went over all the details of the move and really took his time walking me through the process. The movers were amazing. They worked their butts off to make sure everything was done in a timely manner. I gave them a very nice tip and bought everyone lunch. I received my goods a couple days later and everything was fine. I was very pleased with the service I even referred them to other employees in my company. The whole service I got from Prodigy Moving and Storage was outstanding. Their coordinator gave me all the information that I needed and was very helpful. The crew was on time and super professional. They packed all my furniture without a scratch and placed everything in the right place at the new house. They answered all my questions and kept in touch with me during the process. They even called me back twice the day of delivery to make sure that everything was to my satisfaction and that I was happy. I will recommend them to anyone. I had a very short window of time that I needed to move and Prodigy Moving and Storage was the first one that was able to accommodate me. The estimate was given over the phone and the coordinator (Glenn) that I spoke to was very detailed. We went through room by room, and then he provided me with an estimate. Upon arrival, there were four individuals and the lead person greeted me. Before they started anything, he said, "Let's do a walkthrough based on the estimate you were provided. Let's make sure we have covered everything," which we did. We went through and once we reached an agreement that these are the items to be moved, he then started to load the truck. They were very hard working. After calling and getting quotes from everybody, Prodigy Moving and Storage seemed more professional and reasonably priced than the others. The delivery crew did really well and they were very quick. The only issue I had was they left a mark on the wall in the house that we moved into. Overall, the experience was good and I would recommend them. Awful. Dishonest. Misrepresented themselves. Made promises Thames had no intention of keeping. Classic bait and switch. I can’t believe all these positive reviews are legitimate. Prodigy Moving and Storage is simply the best. They acted so professionally when they moved me to Virginia. Everything ranging from customer care to the delivery staff and logistics staff were awesome. I recommend just a little improvement on the time of delivery to be more precise. Otherwise everything else was great. Would most definitely recommend to anyone. I used Prodigy Moving and Storage after speaking with their cordial reps over the phone and seeing that their price was within my budget. They were very professional and they did a lot of good follow-up with me and helped me move. They also followed up afterwards and made sure everything was okay. I appreciated that. I was also very pleased with the moving crew. They were very good and there were lots of good communication. They went over the thing and they saw that we had more than what was estimated and let us know of that ahead of time. So, the actual cost ended up being more than what I expected. That was disappointing because I thought I had planned it pretty well. But the move went smoothly and all in all, it was a good experience. So, it was worth it, and I'll recommend them. I moved from Atlanta to West Palm Beach for financial reasons. Prodigy was the only one that wasn't pushy and rude on the phone with me when I spoke to them and so I had them move my things. Getting a quote a from them was easy as well. I just gave them a list of everything I had and they gave me a quote. Their people were very nice and helpful, especially Jessica. They packed everything up, put it all where it needed to be, and it was great. Their overall productivity was good. I would use Prodigy Moving and Storage again if I have to move in the future. Prodigy Moving and Storage was absolutely EXCELLENT! What a great crew... These guys were professional, polite, clean and hardworking. It was a GREAT experience. The movers were fantastic and very efficient especially George. Jessica in the office was very knowledgable. The only tiny issue was that the tires from the truck went on the grass and flattened it a little, but I am being critical for the sake of a review. I will definitely recommend to my family and friends. I was highly impressed with the experience I had with your company. Finally a move that actually went smoothly. I detest movers based on many past experiences. Did some research then Prodigy Moving and Storage came up in conversation with my neighbor. I was able to reach the reps when I needed anything. They had knowledge and were honest about how they do things. No complaints! Will refer them to anyone I come in contact with who needs a mover. They did a really good job with the move. They were really good at loading and delivering. None of the furniture got scratched or damaged and our boxes stayed square or rectangle! They were a little late on the move in date, but it wasn't a big deal. Maybe an hour or so. Prodigy moved us due to work relocation. Not a terribly long move, but any move is stressful I suppose. Everything went as expected, but wasn't blown away by anything. Didn't really move far enough to see if they are 5 stars, so I give them 4. Enlisted the services of Prodigy Moving and Storage and was really happy with everything about them. I was able to pick a date that worked for me and they fit well within my budget. They handled everything very carefully, including and especially my crystal collection. I have about 22 old vases and bowls. They are a good honest company and give them 5 stars! We just used Prodigy to move from MI to IL. They did a great job. We had some bulky carved furniture that was really dark. Any false moves could have scratched and ruined our furniture, but there were none. Overall quite pleased with the experience. 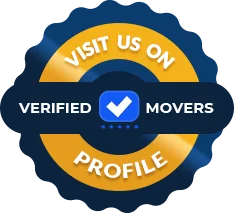 We are recommending Prodigy Moving and Storage to anyone looking for a good mover. They have moved us twice and my sister-in-law once. Nothing but good things to say about them. Nice, clean and honest. Dependable movers! My husband and I work together and were recently relocated to NewJersey. We shopped around for a mover and decided to use Prodigy. They were very professional movers. I collect beer mugs and had several fragile boxes. They handled them with care and nothing broke. We were very glad that we used them. We just completed our move and we used Prodigy Moving and Storage. They did an overall excellent Job. We moved from the Chicago area to Calhoun, GA Booking them was very easy and the people whom we dealt with on the phone was very friendly. We were quoted a price over the phone and was told that it was an estimate, but they would not exceed that amount. It was actually a little less. The truck was very clean and they moved us with care. Very careful and all around GREAT! We are a one-stop solution to all your moving Needs . 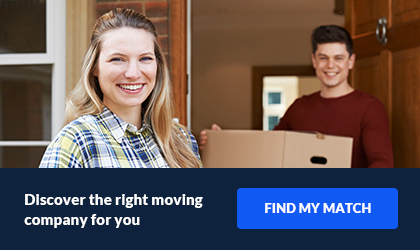 Long Distance Move /Out of state or Local Move in your state we can do it ! From full packing and packing supply to relocating, we offer all that you have in mind when you think of moving. We are a USA based top Mover-pro company. Let us know how we can assist you. Prodigy Moving and Storage is a professional moving service company, that serves all US states/areas. No move is too big or small for us. We do small, medium and also very large moves, and plan the most efficient route to make your move a smooth transition. We put honesty and quality efforts into every move, every time. This dedication has helped us gain trust with our previews costumers and some of the best online reviews to our licensed moving company. At Prodigy Moving and storage we treat each move the same, no matter what size. If you are moving a 5-bedroom home or just one piece of furniture, we will wrap your belongings cautiously and move them with the up most care. please contact us to assist you with you next move. Need some help packing up for the big move? We can help you here too! Our packing services are here to take more of the load off your shoulders. Our expert packers will pack your belongings efficiently and also properly. Nonetheless, they safe and ready for the road ahead, whether it be local or long distance.